Q: What is the cost to visit Smith? A: Smith is free for individual families to visit, donations are gratefully accepted. Q: Can we grill or BBQ at Smith? A: No, grilling and BBQing are prohibited for safety reasons. Q: Is there a pool at Smith? A: No, there is no pool at Smith. Q. Is there a preschool program at Smith? A. Smith’s preschool program ended in 2010. Q: Is there parking at Smith? A: Smith has a free parking lot in front of the Playhouse. If the lot is full, street parking on Reservoir Drive is free and legal as well. Q: Can I get to Smith using public transportation? 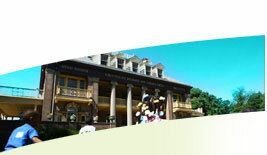 A: Smith is easily accessible from SEPTA bus #32 or #3. The #32 stops at N. 33rd and Oxford Streets, and the #3 stops at N. 33rd and Cecil B. Moore Avenue on weekdays, and stops directly in front of Smith on Saturdays and Sundays. Q: When are Smith’s hours? A: The Playground is open April 1–September 30 , Tuesday–Friday, 10:00am–6:00pm and Saturdays and Sundays until 7pm. October 1-December 31, the Playground is open Friday–Sunday, 10:00am-4:00pm. April 1-September 30, the Playhouse is open Tuesday-Friday, 10:00am–4:00pm, and Saturdays and Sundays until 7:00pm. October 1-March 31, the Playhouse is open Tuesday-Sunday, 10:00am-4:00pm. Smith is closed to the public on Mondays. Q: Why is Smith not open all the time? A: Smith’s facilities are staffed to ensure safety for visitors and for play equipment. Smith must raise money for operating expenses, and was proud to extend visiting hours in 2012. Please help us do more by making a gift today. Q. How do I get to Smith? A. Smith is located at 3500 Reservoir Drive in East Fairmount Park, just above Kelly Drive near 33rd and Oxford Streets. There is free parking on site and Smith is also accessible by public transportation. Take #3 bus to 33rd & Cecil B. Moore. Walk one block south to 33rd & Oxford St. Walk 1/3 mile into Fairmount Park. Smith will be on your left. Q: What is Smith planning for the future? A: Smith is always working towards raising funds for new improvements. An extensive renovation of the exterior and first floor of the Playhouse was completed in Spring 2011. The next phase of renovations are expected to include renovations in the Playhouse and creation of play areas in the front lawn. Q: Can I have a birthday party at Smith? A: Yes, Smith has 3 spaces available for parties. The Party Room is available year-round and can accommodate up to 15 children. The Party Room is ideal for children 5 and younger. Two Side Porches are available April – October and can accommodate up to 20 children each. April through September, parties at Smith take place on Saturdays and Sundays from either 10:00AM-12:00PM, 1:00-3:00PM, or 4:00-6:00PM in either the Party Room or Side Porches. In October, the Party Room and Side Porches are available 10:00AM-12:00PM or 1:00-3:00PM. November through March, the Party Room is available 10:00AM-12:00PM or 1:00-3:00PM. A. Call 215.765.4325 x100 to make a birthday party reservation or book online. A deposit of $150 is due at time of booking to hold the date. The remaining balance will be due by at least two weeks before your party date. Reservations are suggested at least two months in advance to secure your preferred date. A: The cost to rent the Party Room is $150, and the cost to rent the Side Porch is $275. Q: What does the cost of the party include? A: The cost for the party includes the space rental, a t-shirt and crown for the birthday child, and a staff member to check in with you throughout your party and help dispose of trash bags at the conclusion of your party. A: In the case of inclement weather, including rain or excessive heat, the staff will assess the safety of the Playground and determine whether the Playground will close or stay open. The Party Room is indoors, and the Side Porches are covered from the rain. If the forecast predicts inclement weather please bring along games to entertain your guests in your party space. Please note that your rental is for the Party Room and Side Porch and does not guarantee access to the Playground. A: Yes, you are welcome to bring food or have food delivered. Keep in mind that chafing dishes, grilling, smoking, and alcoholic beverages are not permitted, and there are no electrical outlets on the Side Porches. Most parties have pizza delivered, or bring cold sandwiches or snacks. Q: Can I decorate the Side Porch/Party Room? A: Decorations are permitted for party rentals, but tape is not permitted. The rental spaces occupy a historic facility and Smith staff work hard to protect it. To do this, tape must not be used on any painted surface, and any damage caused by affixing decorations may be subject to a repair fee by Smith. Smith will provide materials such as string for safely affixing decorations to surfaces by request. Q: Do the guests have to leave after my party ends? A: The time slot you reserved for your party is for the space rental. Your guests are welcome to continue their time in the Playhouse or Playground until closing. Please be mindful of being cleaned up and out of the space when your party time has ended, as there are often other parties or after-hour rentals that need to set-up after yours. Q: Can I plug in an appliance or stereo? A: There is no electricity on the Side Porches, there is an outlet in the Party Room. Battery operated stereos are permitted, but are asked to be kept at a volume that does not disturb other visitors, and to play age-appropriate music. Q: Can I have more children attend my party? A: No, the number of children allowed in each space is the maximum number of children the space can accommodate. Q: How many adults can attend the party? A: The Side Porches have standing room for around 35 adults, and the Party Room has standing room for around 10 adults. Q: What’s the difference between the “Playground Side” and “Woods Side” Side Porches? A: The Side Porches are identical, but are on opposite sides of the building. If you are facing the Playhouse, the “Playground Side” is on the left of the house, and the “Woods Side” is on the right. Q: Can I have a party on the front lawn? A: Individual families are welcome to picnic on the front lawn on towels or blankets. Decorations, grilling, sound equipment, or any furniture is not permitted on the front lawn to preserve the environment for all families. Q: How can my group visit Smith? A: Reservations are required in advance for groups who wish to visit Smith. Groups may visit on Wednesdays, Thursdays, or Fridays from either 10:00am – 12:00pm or 1:00 – 3:00pm. Please call 215.765.4325 x100 to make a reservation. Q: How far in advance should I reserve? A: We suggest booking your group visit at least two months in advance. If you intend to visit in the summer months, or have a large group, we suggest reserving three or four months in advance. Q: What is considered a group? A: A group is any daycare, recreation center, summer camp, church group, school, or Moms Club of 8 or more children. Q: How much does a group visit cost? A: The cost of a group visit is based on the number of children in your group. Up to 25 children is $25, 26-50 children is $50, and 51-100 children is $100. Space-permitting, an additional fee of $25 is charged for groups with overdue payments and groups without reservations. A: Payment is due one month prior to your visit date. If your payment is not received by the due date, your visit may be cancelled to allow other groups the opportunity to visit Smith. Groups that arrive without sending prior payment will be charged an additional $25 walk-in fee. Q: Can my group eat lunch or snacks at Smith? A: Yes, groups are welcome to use the picnic tables on the side porches if there is space, or picnic on the grass on the front lawn. Groups are asked to bring their own trash bags and take their trash with them, as Smith is a carry-in/carry-out facility. A: If the Playground is closed due to inclement weather, Smith will call the primary contact on the group reservation form between 9:00 – 9:30am to discuss rescheduling. If the group is unable to reschedule, they will receive a credit valid for one year. 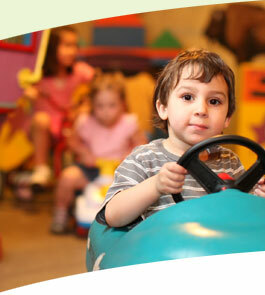 If the children in the group are 5 and younger, they may still visit the Playhouse. Q: How many chaperones are needed? A: A minimum ratio of 8 children to 1 adult is required, a ratio of 5 children to 1 adult is preferred. Chaperones must be 18 years or older. Additional chaperones are welcome, and there is no fee for chaperones.